Read Bionic Eyed Snail here…………………………. 2000 Hits! Thanks for reading. 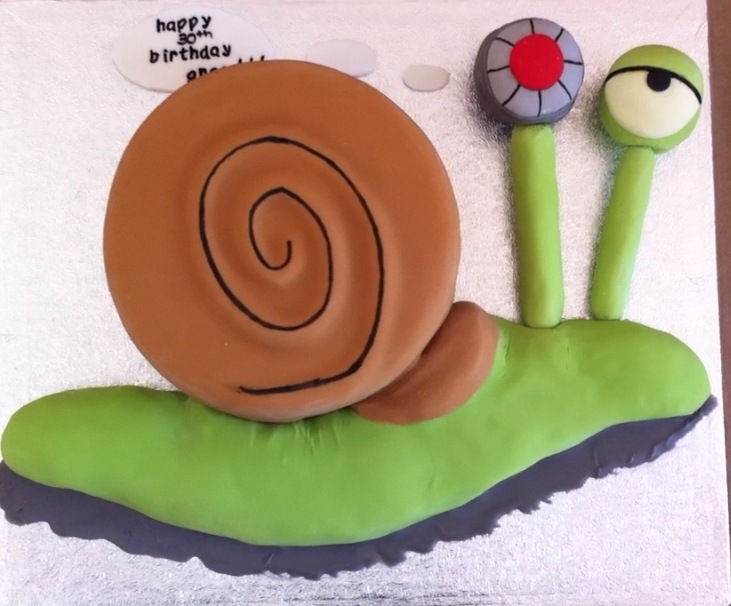 There will not be an updated page of Bionic Eyed Snail this week as I’ve been busy getting my garden tarted up for a BBQ I’m having for my 30th birthday. I wasn’t going to post at all this week but my wife showed me my birthday cake and I just couldn’t go without showing the world. It was done by Sweet E’s Cupcakes (see my post a few weeks ago about designing her logo). Enjoy, I know I will cos its Carrot cake.